With more than 25 years of collective experience, our team works tirelessly to make the perfect match between job seekers and employers. So whether you are seeking a candidate or a position, you can benefit from our expertise. More importantly, we offer deep market knowledge and a passion for the staffing industry. We foster a culture of great performers who take ownership because there is full accountability. Quality service for all your business needs is our goal! Marica is an experienced, service-oriented Manager and Employment Counselor with a passion for assisting people who are motivated and determined to help themselves. She strives to connect those with the right skill set and personality with employment opportunities that will help them grow as individuals while adding value to the companies they join. Her background includes leading successful business start-ups, social work studies as well as lifelong fitness and personal coaching. Colleen Hurst is Past President and Owner of PROSTAFF, and possesses 20 years of experience in the staffing and recruitment industry. With a well-rounded business background in both corporate finance and the not-for-profit sectors, Colleen oversees the strategic direction of PROSTAFF with an approach that is centered on results and accountability. Colleen believes PROSTAFF’s success is attributed to a strong team which focuses on the needs of the client. In addition to being President of the Windsor Regional Association of Staffing Services, Colleen has led PROSTAFF to the Top 100 and Top 500 of PROFIT Magazine for the last 5 years. Renee Plaunt has 9 years of experience in the staffing industry. She possesses exceptional organizational, research and administrative skills. She excels in a fast paced environment where she has a strong ability to plan, multi-task and manage time effectively. Renee oversees the recruitment process for our customers, our candidates and our internal employees. As well, she oversees all the administrative responsibilities including administration of all PROSTAFF programs, procedures and policies. 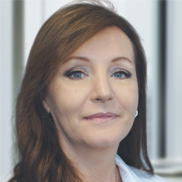 Renee holds an Honours Bachelor of Commerce degree from the University of Windsor. 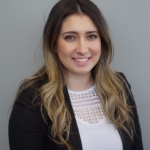 Ashley Pietrangelo has 9 years of experience in the customer service field, including 6 years of experience in the staffing industry. She manages a high volume desk with exceptional organizational skills as well as a strong ability to multi-task. She uses every minute of the day recruiting, training, coaching and scheduling both her employees and customers with an enthusiastic attitude. Ashley holds a business degree from the University of Nippissing as well as a diploma in Human Resources from St. Clair College. 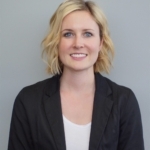 Emily Bowes has over 10 years of experience in customer service, including 4 years in the staffing industry. Emily brings compassion and empathy into her recruitment strategy and excels at relationship building to be successful in her role with a high volume client. She utilizes effective time management skills to schedule, recruit and train employees on a daily basis. 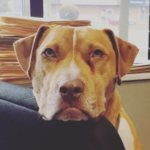 Emily brings positivity and humour to the workplace and on occasion, brings her dog to share with the office for stress relief. Emily holds a Human Resources Management degree from Durham College. Christina Magri has over 10 years of customer service experience, including 3 years of experience in the staffing industry. She manages her desk with a high level of professionalism and attention to detail. She excels in all areas of administration, employee coaching and recruitment. Christina is the ultimate team player and is always willing to go above and beyond for her clients and employees. Her passion and drive has made her a top performer. Christina holds an Honors Bachelor of Commerce degree from the University of Windsor. 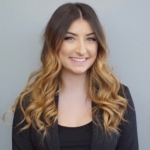 Alessia Antogiovanni has over 8 years of experience in customer service, including 2 years in the staffing industry. She brings energy and positivity into the workplace and has outstanding relationship building skills. Alessia manages the light manufacturing desk and is committed to both the client and employee to find the perfect fit. She truly is an all-star in multi-tasking, time management and motivating staff. Alessia holds a Bachelor’s degree from the University of Windsor. Achilles is our main man and stress reliever! Achilles is a 6 year old Boxer mix rescue that joined Emily’s family 5 years ago and the PROSTAFF office last year. His goofy and calming presence brings joy to our office and is a great motivator to get up from our desks and get some fresh air!